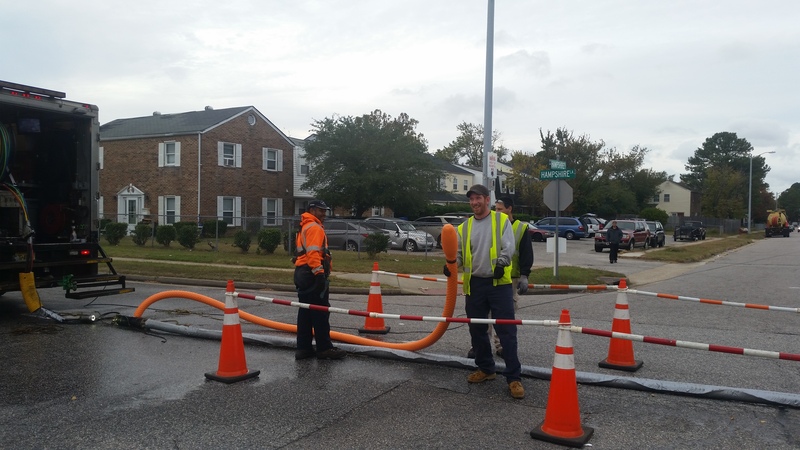 To fulfill the objectives of the Clean Water Act and achieve full compliance, HRSD used the progressive design-build project delivery method to rehabilitate Basin VB 340 which is located in the city of Virginia Beach’s collection system. HRSD set a goal of reducing the peak one-hour flow during a 10-year design storm by 20% as determined using HRSD’s hydraulic model and pre- vs. post-rehabilitation flow data for calibration. Due to the fact that much of the basin consisted of privately owned sewers interspersed with public sewers, a good portion of the 500 laterals was private and outside the right of way and therefore off limits to rehabilitation. Of the five miles of pipe in the basin, only two were public and available for this project, dictating a >50% removal requirement from the available assets. 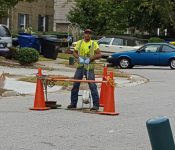 Of the two miles of publicly-owned sewers, one mile had been televised, and the video indicated the pipe had almost no structural defects, indicating that structural repairs to the main were redundant and that the leakage must be coming from the mainline joints, the laterals, or inflow sources. Arcadis proposed to approach this design-build project as a Buried Infrastructure Guaranteed Outcome (BINGO) RDII project using Arcadis’ Grout First approach. 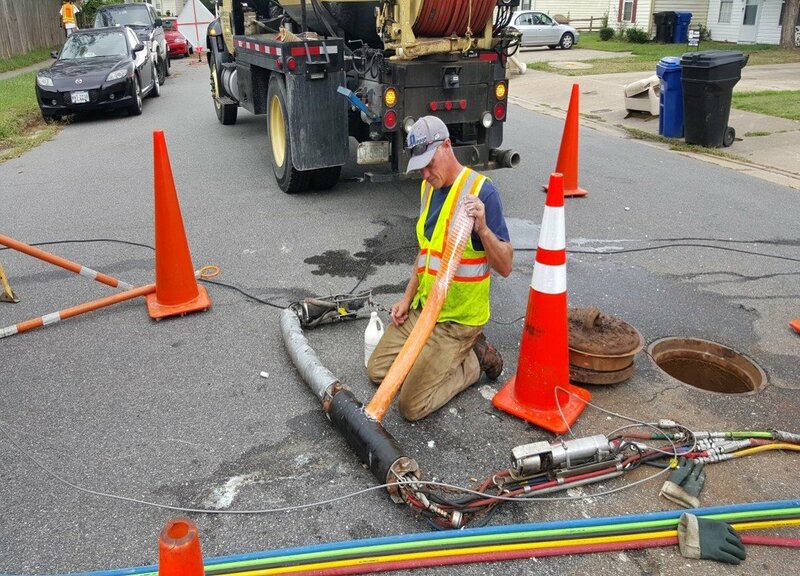 ARCADIS engaged five trenchless subcontractors, providing significant overlap of capabilities to minimize performance risks. 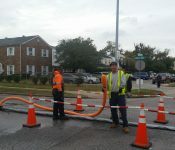 This turnkey work featured the testing of 1,743 mainline joints, 310 lateral tap connections (8’ and 20’ lengths), and 1,153 lateral joints tested through the cleanout. 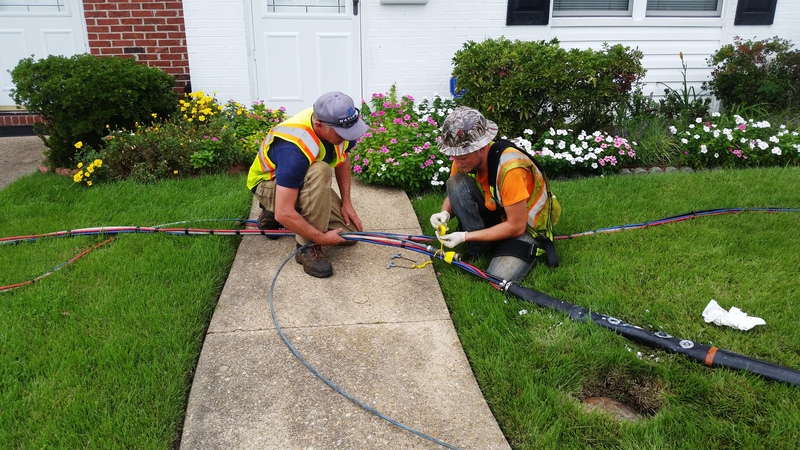 30% of the pipe joints, 19% of the lateral joints, and 35% of the tap connections failed the air test and were successfully grouted. 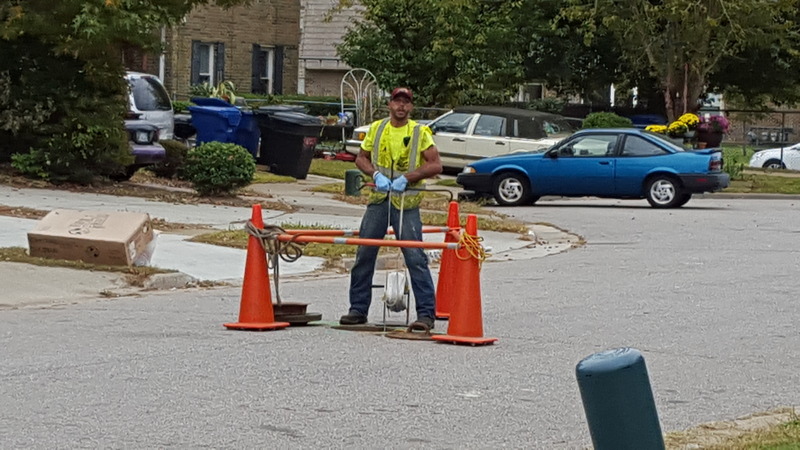 In addition, 66 laterals connected to manholes were tested and grouted. 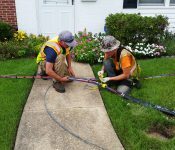 Only two cured-in-place point repairs were required, and no mainline lining or lateral lining was needed. 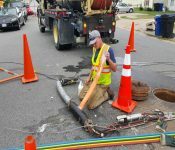 Perhaps most significantly, almost all the cleanouts were found to be below grade and leaking, functioning as area drains, so Arcadis placed cleanout caps in nearly all of the 500 cleanouts. Rainfall derived inflow and infiltration volume was reduced by 36%. Peak one-hour flows during the 10-year storm were reduced by 12%. However, the target peak hour removal was not achieved even with various rehabilitation strategies employed. All work was completed for 84% of the allotted cost.